It’s been a while since we brought you some DJ talent! Well today your in for a treat! We are bringing you a FKN Exclusive with a talented up & coming DJ by the name of “Manotti da Vinci aka DJ RNS”. 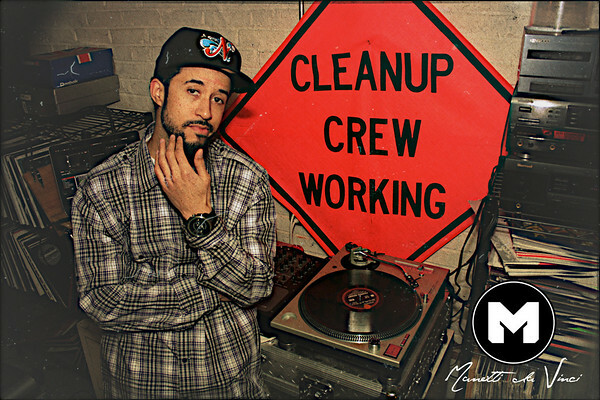 Relax as we get to know DJ RNS more an listen to his latest mic! Huge thanks to Sticky Toffee PR for setting us up with this talented DJ. 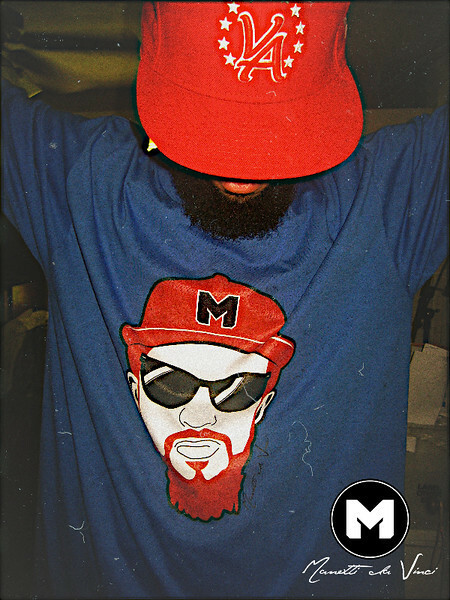 – I go by the name Manotti da Vinci but my older fans know me as DJ RNS from my time on XM Satellite Radio. I rep Virginia to the fullest and have been DJing for over 15 years now. I’ve been blessed with the opportunity to perform in clubs all over the East Coast and work with major artists such as Rick Ross, Paul Wall, Chris Brown, Jae Millz, David Banner, Talib Kweli, The Clipse and DJ Khaled. Earlier this year, I started my own electronic music record label and management company, So Iregula Ent. 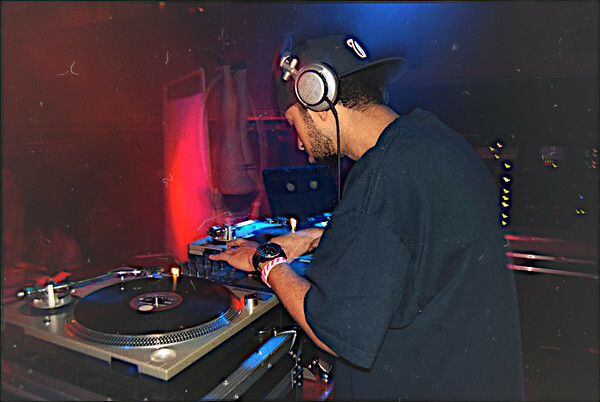 I pride myself on being an open-format electronic music and hip-hop DJ, Producer, Artist and Label Owner. My new company will be focused on releasing music from myself along with other up and coming producers/artists that I have recruited from around the globe. What inspired you to start releasing music? – I’ve been releasing free DJ sets, mash ups and mix-tapes for years on my website. However, it wasn’t until I started producing my own electronic and hip-hop tracks that I decided to start my own label and begin releasing my music utilizing online stores. – Most definitely! I’m still dealing with some hard challenges now, but that’s just part of the game. Unfortunately, the music industry has been over-saturated for years now, which was a major challenge initially – just finding the right avenue to be heard, gain momentum and recognition. Luckily I have a good, strong team working with me who see the potential and share my vision. Everybody plays their part and provide nothing but positive support, which I am forever thankful for. If it wasn’t for my team I wouldn’t have accomplished as much as I have. They play the most important role in helping me get through all challenges. – I’ve seen a lot of promotional tactics and strategies change over the years. The internet is the most effective right now, so I tend to focus heavily on social networking outlets and other online music sites. I constantly try to expand my demographic and fan base by finding new ways to introduce my brand and music to the world. Also, it always helps to network with other DJ’s, producers and artists. My goal is to stay consistent and keep putting out material to keep the buzz going and my fans happy; they always want to hear new material and can never get enough. What would be your most memorable moment while performing? – I’ll have to say one of my most memorable moments would be when I performed with Talib Kweli in Washington DC. It sticks out in my head because it was not planned at all, but nevertheless we were able to put on a dope show for the fans. Another memorable moment would be when I did my first major concert as the opening act for the Usher and Kanye West tour. That was back in 2004, on stage in front of over 15,000 people which was an experience I think no one could ever forget. And how could I forget about the time I did my first crowd surf; that didn’t end on such a positive note [since I lost a few personal items that night]. – Right now my main goal is to continue branding my label by consistently releasing good, quality music and DJ mixes to my fans with the intentions on gaining new fans in the process. I’m also looking into sponsorship opportunities that will spring our creative partnerships to the next level and differentiate my vision, label and sound from the rest of the industry. – You can expect a lot more music and free mixes to drop in the near future from myself and the artists featured on my label. I’m currently in the process of putting together a few special events for 2012 and I am always looking to branch out to international event promoters and venues. I’ve developed a strong fan base overseas and would like to capitalize on those opportunities so I can have the opportunity to perform my music for the fans outside of the United States. – I’m currently working on a new EP, but right now I’m focusing on pushing my latest Remix EP, “Can Ya’ll Feel Me” (The Remixes). It is available now on Beatport, iTunes, Spotify and all other major digital music stores. It’s a compilation of Electro House, Dubstep and Drumstep that’s been getting a lot of love from fans, DJ’s and other producers. Feel free to go to my website to preview the EP and all of my other mixes which you can download for FREE (www.DJRNS.com). – I think the site is dope. I like how you guys focus on a variety of topics and interests to appeal to a wide ranged audience. I’ve only come across a few blogs/sites that do that [and do it well]. I’ll definitely be adding the site to my favorites so I can keep up with the new content [and models!!!]. – Yeah, shout out to my So Iregula team for all the hard work they put into making things progress. Shout out to everyone who has been supporting the music. Big shout out to the producers who assisted me with the remix EP; Get Off (Soundcloud.com/Get-Off), K-lix (Soundcloud.com/K-lix), Cognition (Soundcloud.com/HotfireDJs) and Jammtrak (Soundcloud.com/Jaamtrak). Make sure to check out their music also available on Soundcloud. Last, but not least, shout out to my peoples at Sticky Toffee PR and everybody over at FKN Famous. Much love!